Important Added Info: Note that, due to the immense popularity of this movie, there were FOUR different printings of this "style A" one-sheet poster! The first printing had the original NSS number of 77-21-0, while the next three printings had the 77-21 NSS number. The first three printings all had "Style A" printed in the bottom border, while the fourth printing did not. Also note that there are many reproduction Style A one-sheets being sold as originals. 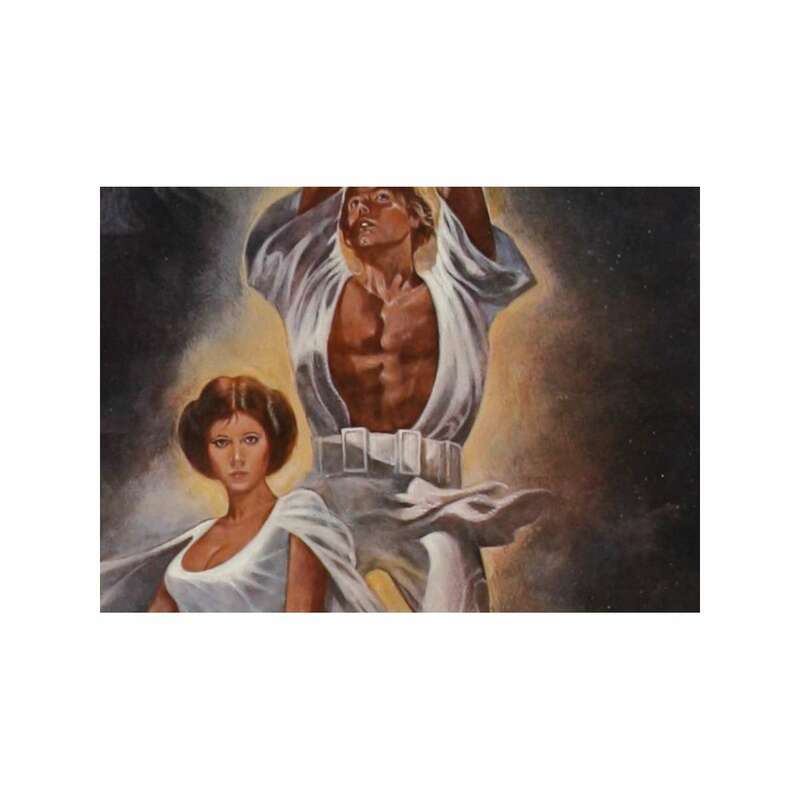 There are some key signs to identify the reproductions as follows: a hair on Luke's belt, no indention of the copyright in the lower left corner and the GAU logo isn't 'crisp'. 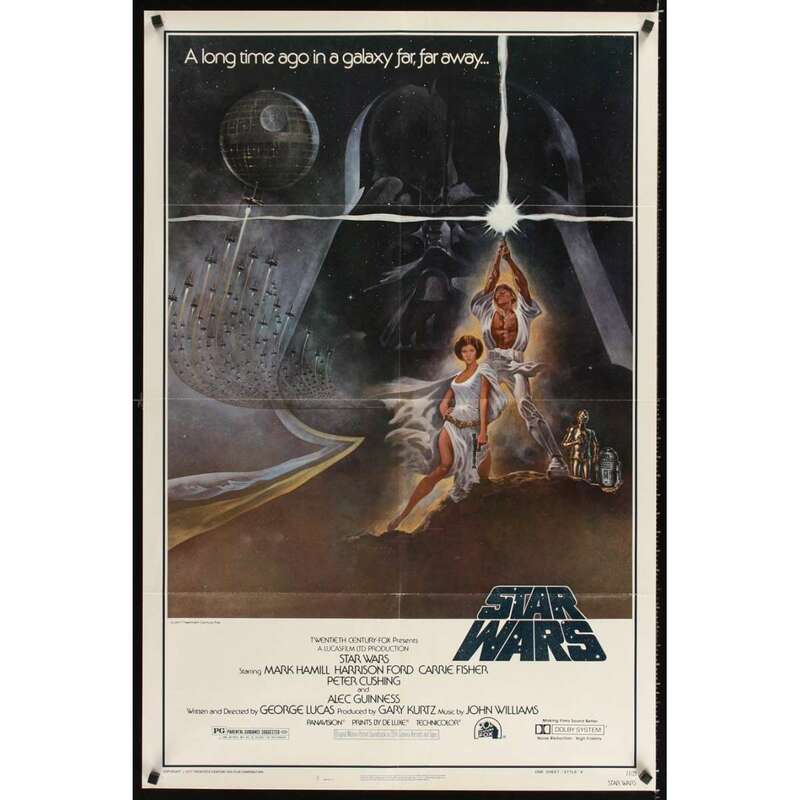 We have examined this poster very carefully for these indications, so you can buy with confidence that we have determined that this poster is 100% the original theatrical one-sheet! Overall Condition: very good to fine. 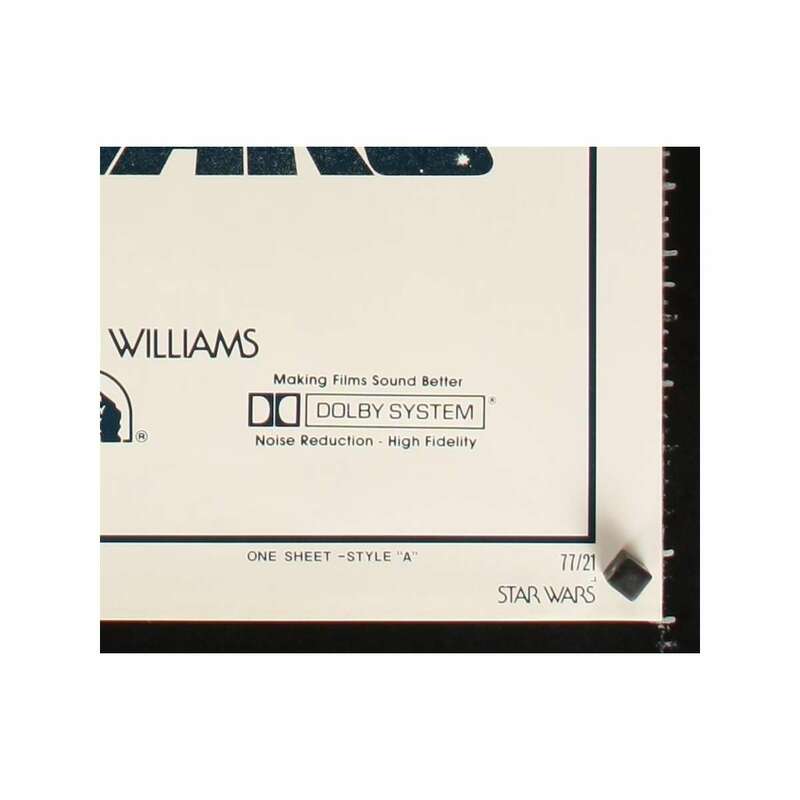 There are minor creases and scuffs along the foldlines throughout the poster (typical of folded one-sheet posters). The poster is otherwise in ice condition and it displays well!